If the Melbourne Laneway sideshow for Mac DeMarco has taught us anything, it’s that the sound of the music on record can have very little bearing on what you can expect at their live performance. There is no way that listening to his typically soothing while slightly more personal 2017 album, This Old Dog could prepare you for the live music equivalent of a carriage disconnecting from the rest of the train at the top of a hill and backsliding at an accelerating pace before crashing full speed into a wall. 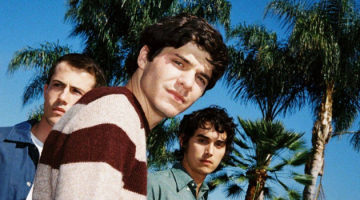 After great reports of his performance at Laneway Festival, the sideshow was much anticipated particularly by the hordes of predominately young men in the audience who all appear to have dressed in the cult of Mac normcore uniform. Before the main act they are greeted by Kirin J Callinan, who may have lost his spot on the Laneway bill but as DeMarco’s BFF, he conspicuously remained as second support on the bill. His set is shadowed by the recent mainstream controversy around his questionable behaviour but was endured by this reviewer in the pursuit of journalistic enquiry. It was disappointing due to a lack of either musical impression or any particular controversial actions. He played a selection of average country rock which, although resembling Jimmy Barnes B-sides, had none of the anthemic conviction. Crowd approval seemed sparse and somewhat ironic as cheers broke out for the most minor of dance moves from Callinan. The set failed to prove itself as the kind of parodic performance which he is argued to engage in but the songs such as ‘Bravado’ and recent hit ‘Big Enough’ proved easy if not enjoyable listening. As Callinan’s set ended, the typical jostling to the stage ensued as the lights came up showing the band in positions and DeMarco with his back to the audience. Music begins and DeMarco starts modestly by introducing the band and pointing out the group of “friends and family” on the side of the stage in two-tiered seats with a large vase of roses in between them. 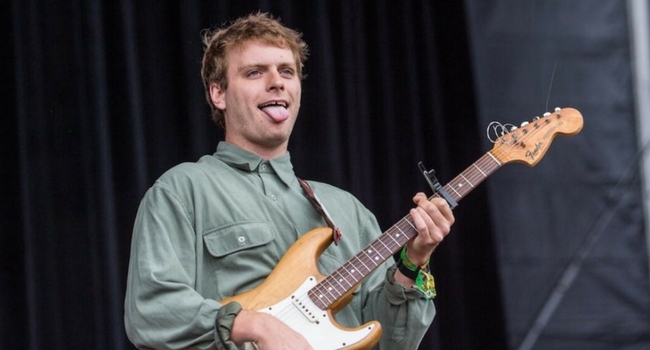 Mac DeMarco is known for his personable and down to earth energy which shines through for the first half of his set with a mixture of songs from across his studio albums from ‘The Stars Keep Calling My Name’ from Mac DeMarco 2 to ‘This Old Dog’ the title track from his new album. His witty banter and sometimes goofy interludes keep the set exciting despite his low key and downtempo repertoire. The members of the band (who are also his mates) join in with over-enthusiastic displays of rock’n’roll bravado which is deliberately discordant with the music’s feel. As the set continues, the music begins to take the backseat. The turning point for this is no more obvious than when DeMarco swaps places with Jon the drummer, who begins a hilarious ‘improvised’ (hard to say for sure) rant in which he discusses the weather, gets the crowd on side with his rating of Sydney – “not that great”- compliments Mac’s drumming “he’s playing in the shuffle style, so satisfying to play and so satisfying to listen too…” and then finishes with a comparison of the US and Australian taxation systems. This and DeMarco’s enthusiastic rendition of the chorus of Seal’s ‘Kiss From A Rose’ while his guests throw roses at him, remain the highlight of the show. This style of behaviour continues interspersed with sincere performances of personal songs about DeMarco’s father ‘The Old Man’ and ‘Together’ dedicated to “his girlfriend back in LA.” However, the emotional weight of these songs is diminished by the overt display of masculine larrikinism that follows. During ‘Salad Days,’ DeMarco drops his guitar and appears to give up on the musicality of the performance completely. The final song is announced and is played purely instrumental by the band as Callinan joins DeMarco onstage for a series of antics which results in them piggybacking each other across the stage with no shirts on, all the while swigging from what is now, a mostly empty bottle of Jameson. The chaos continues as side stage friends join in to play a bad cover of Red Hot Chili Peppers’ ‘Under The Bridge’ and Callinan grabs the mic to grasp his own time in the spotlight with a bizarre testimonial to his best mate Mac. While initially exciting, the rebellious and devil-may-care attitude demonstrates a disregard for the audience’s enjoyment of the show, which seemed more for him and his friends benefit than anything else. DeMarco attempts to involve the audience in the joke with announcements of “Thank you, Sydney Opera House” and doing a shoey from the crowd, but the whole display had the feeling that not only are the attendees out of the joke but it is deliberately at their expense. The air of borderline alcohol abuse is also an embarrassing look, no wonder this was an over 18s show. Reviewing from outside of Mac DeMarco fandom, initially, he had me onside but after 40 minutes of tiresome self-indulgence, this show had me looking for the door. If this was an attempt at a punk statement showcasing DeMarco’s goofy rejection of how a famous musician is meant to behave then it definitely missed the mark. After retreating to the back bar to wait out the end, my boredom resembled that of an attendee of a wedding when the drunk best man’s speeches have gone on too long and he starts telling inappropriate stories from the bucks night. In fact, the whole evening despite moments of musical appeal and skill began to feel more like a night at a fraternity than the sideshow of an internationally regarded indie musician. In future, seeing Mac DeMarco’s festival sets seems like the safest bet to avoid walking away disappointed. Next post Sydney City Limits Brought That Big Festival Feeling Back to Sydney.